A handheld device that will assist in checking skin lesions for cancer in seconds. 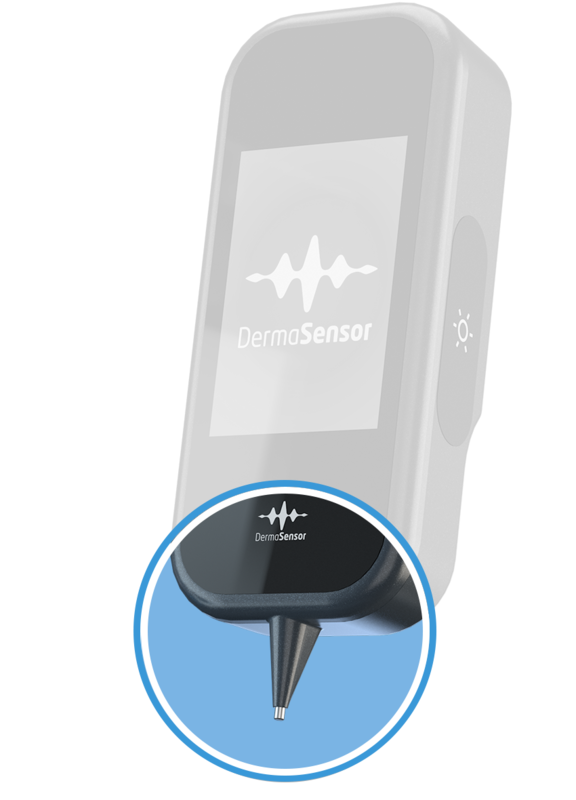 DermaSensor™ is NOT a camera or a dermatoscope. 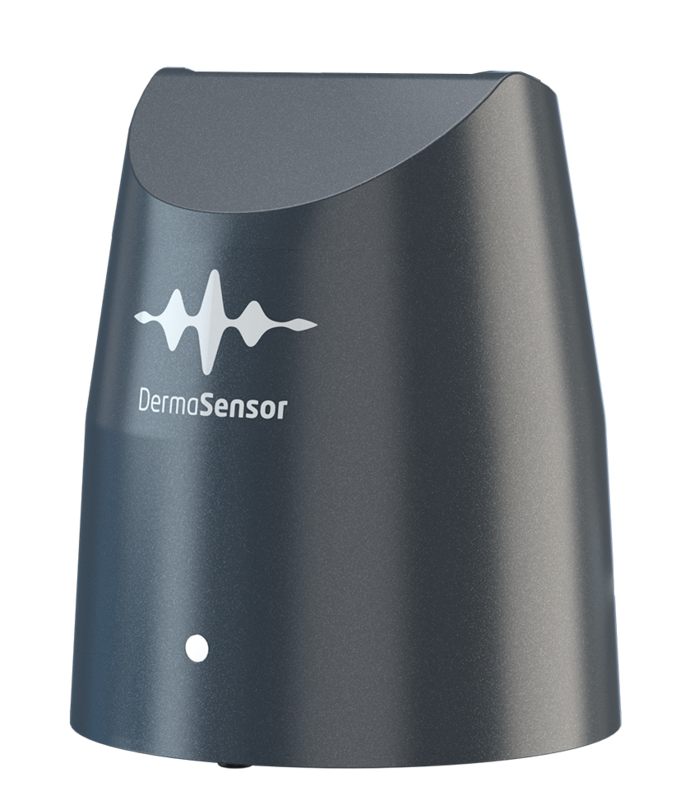 DermaSensor™ uses pulses of light and spectroscopy to assess lesions cellular and sub-cellular structure. DermaSensor’s™ tip reflects and records quick bursts of light off the lesion’s cellular and sub-cellular content. The light will be analyzed by the built-in computer to help users distinguish different types of malignant skin lesions (including melanomas, squamous cell carcinomas, and basal cell carcinomas) from benign skin lesions. 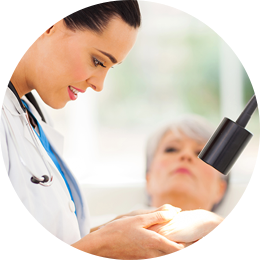 By examining the difference in light scattering, DermaSensor™ will determine if the skin lesion is “High Risk” or “Low Risk,” an instantaneous and actionable output. DermaSensor™ uses Elastic Scattering Spectroscopy (ESS), a process which evaluates how photons scatter when reflected off of different cellular structures. Malignant lesions have different cellular and sub-cellular structures than benign lesions, scattering light differently. 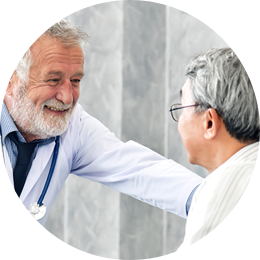 While Americans have much better access to Primary Care Physicians (PCPs), early diagnosis in primary care is hampered by limited consultation time and limited dermatology training. Physicians will be able to use DermaSensor™ to better assess skin lesions and determine whether patients need additional clinical care. 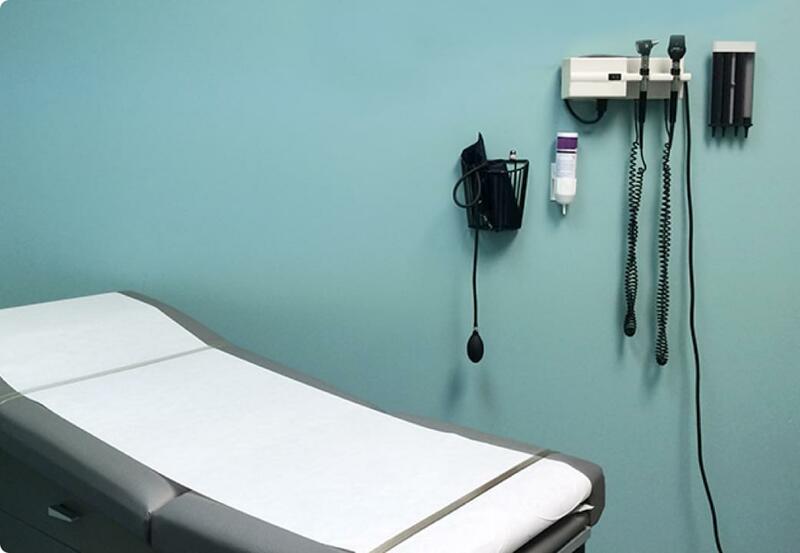 Patients wait 32.3 days, on average, for an appointment with a Dermatologist. The total treatment costs for melanoma in situ is ~$4,648 while Stage IV melanoma is ~$159,808. 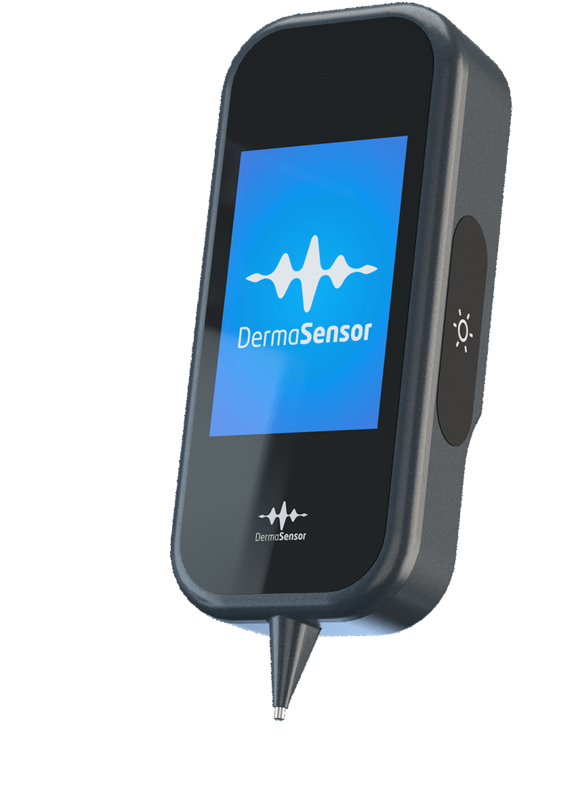 DermaSensor™ will allow dermatologists and their care team to more quickly and effectively evaluate lesions for cancer. Detecting cancer at an earlier stage can save lives and save the system and the patient money. Retail clinic use has doubled in the last 5 years. 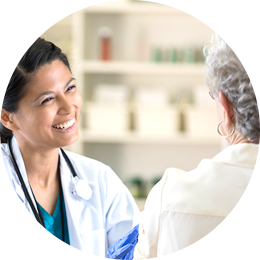 Patients turn to retail clinics due to convenience, transparency of cost, and efficient service. DermaSensor™ will allow patients to visit retail clinics with their skin lesion concerns and allow retail clinicians to effectively evaluate lesions. What is an Adjunctive Tool? An adjunctive tool, also known as a clinical decision support tool, is not meant to replace clinicians’ decision making. 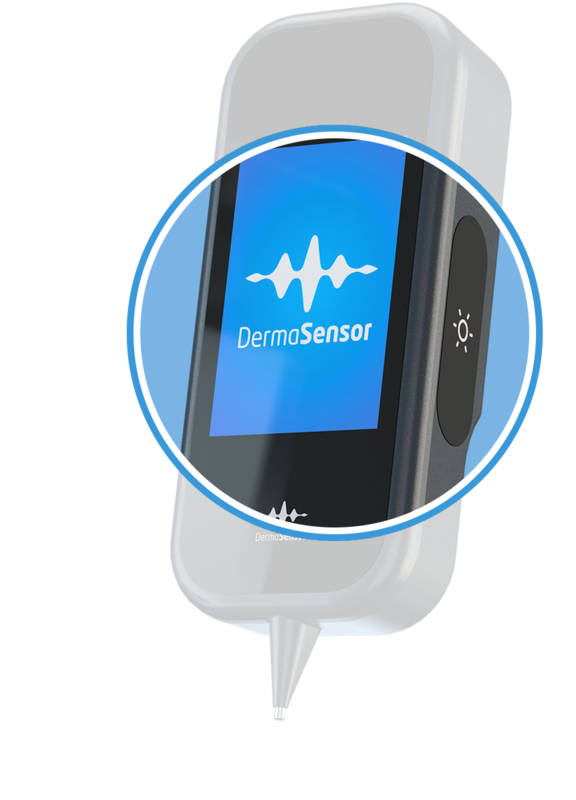 DermaSensor™ will provide clinicians with additional information about a lesion for them to consider in their clinical decision. An adjunctive tool is not a diagnostic so will not provide information on the exact type of potential skin cancer (e.g. melanoma), nor does it make any decision for the clinician. DermaSensor™ will quickly assess information below the skin surface, giving physicians greater confidence and performance in their decision-making. 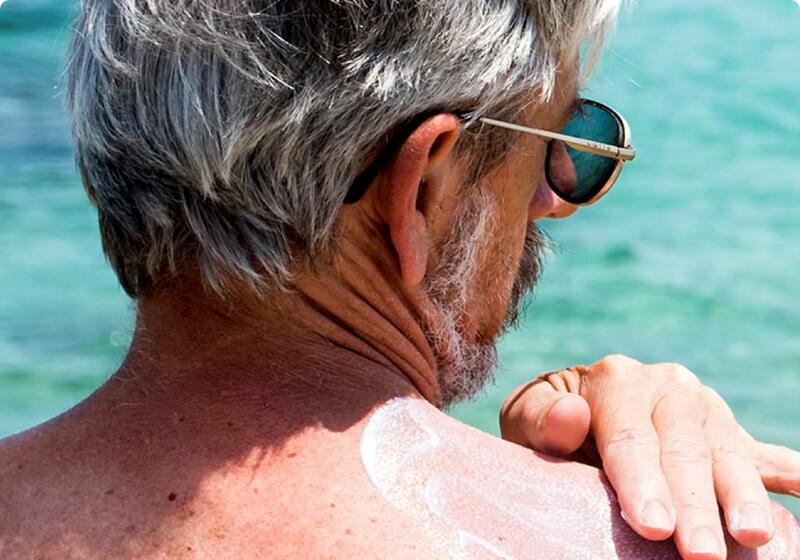 DermaSensor™ could improve early detection of skin cancer and reduce the number of unnecessary biopsies and referrals. Patients will view DermaSensor™ as a supplemental and valuable addition to the skin care they already receive from physicians. The noninvasive nature of DermaSensor™ will be unintimidating to patients and reassure them that they are receiving high-quality care. The machine-learning algorithm is derived from thousands of samples of pathologically-verified lesions and is professionally trained by expert data scientists.